Even without fraud, i get paid dollars into my bank account in Nigeria, these dollars paid are just accumulated earnings of the various works i do online which am going to share the ideas now. How do i earn dollars through the Internet in Nigeria? If you are looking for legitimate ways to do business online and get paid in dollars directly into your Nigerian bank account, then am telling you its very possible. Its called internet business where you work and make money from home. 1.Google Adsense - The first dollars i earn online is through Google Adsense and dollars was sent directly to my Nigerian bank account. Google Adsense is a legitimate way to get paid in dollars through the internet using a free blog site on platform like blogger or WordPress. Google Adsense is a program owned by Google Inc which pays website/blog owners through the traffic generated on their blogs.To make dollars through Google Adsense, you need a well designed site, post some contents, drive traffic and register for Adsense to allow Google display ads on your site. Google Adsense pays its publishers directly into their Nigerian account. 2.Sport Prediction - This is another way people make money in dollars right here in Nigeria. Through soccer betting site that pay in dollars, you can predict the scores of live matches or football played around the world. This is a legitimate way to earn dollars online through sport betting sites that accept Nigerians. 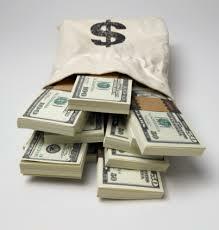 You make dollars placing bet from sport such as football, tennis, Basketball, Live event and others. There many soccer prediction(betting) site,what you need to do is to Google soccer betting site that pay in dollars and start working. 3.Affiliate Marketing - This is a program that serves as a source of income to many internet workers in Nigeria. Many affiliate site pays in dollars directly into a preferred payment option they choose to be paid. Affiliate Marketing involves selling a product or other people's product on your site by placing the product banner on your site and driving traffic to it. You get paid in commission for every sales, leads or generated through your site. Good affiliate sites includes Peerfly, ShareAsale,Clickbank, commission junction, eBay, Amazon and many more. These site pays their publishers in Dollars and they also accept Nigerians too. 4. Sales of eBook - You can begin to generate dollars online by creating and selling eBook online. You only need to write an article that solves a problem, convert it into PDF file format and design a simple sales page, drive traffic through it using a paid method to get paid in dollars. 5. Sell Something : The fastest way to get dollars into your Nigerian account is to think of what to sell on the internet. You can sell your service, a product, other people's product and get paid in hard currency directly into your bank account. 6.Paid Post: What works best for me in terms of getting dollars is sponsored post. Sponsored is not all about selling links on your site but if your site has good traffic, people will want to partner with your site for paid post. When i begin to get 2 to 3 paid post per week, then i realize how important it is to develop a site to get a good rank. If you site has good traffic, rank, domain authority, Alexa etc people will come for a sponsored post on the site and you charge in dollars. These are ways you can easily earn dollars while living in Nigeria. But its very legitimate, no fraud and all is about internet business. Thanks for reading.